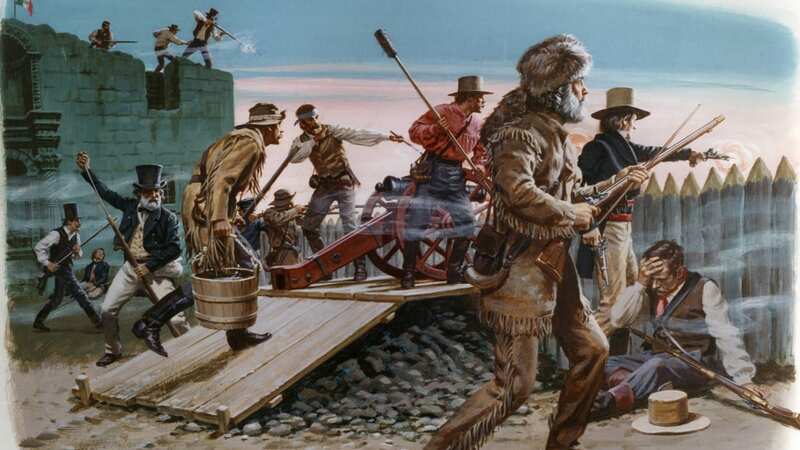 A painting depicting the final hours of the Battle of the Alamo with former congressman and frontiersman Davey Crockett in the foreground. Before Texas was a U.S. state, it was its own independent nation where both Mexicans and white immigrants were citizens. But during the nine years that the Republic of Texas existed, Mexicans became suspect outsiders as white settlers made it more difficult for them to vote and hold onto their land. White settlers did this by targeting Mexicans with voting laws and taxes, suing for possession of their land and targeting them with police violence. This presaged the way the U.S. would treat Mexicans in California and the New Mexico territory when it gained this land from Mexico in 1848—as foreigners who had less right to be there than the white settlers who’d moved in. In 1841, future Texas governor Peter Hansborough Bell bizarrely asserted that “Mexicans disguised as Indians are formidable in depredating on the property of Citizens on the Border.” Bell would go on to lead the Texas Rangers, a police force that inflicted violence on Mexican and Native peoples. In fact, the land that had become Texas originally belonged to Mexicans who had won their independence from Spain in 1821. It had been inhabited by Native peoples and tejanos, or Texas Mexicans. Soon, anglo immigrants from the U.S. and Europe moved into Texas, bringing enslaved people of African descent with them. Texas then gained independence from Mexico through the Texas Revolution in 1835 and ‘36, and emerged as its own nation: the Republic of Texas. 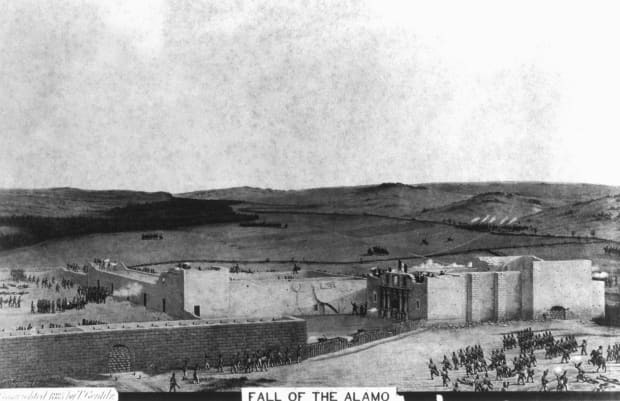 Mexican soldiers storm the Alamo on March 6, 1836, to defeat and kill the Texas soldiers within during the Texas War for Independence. In the beginning, there wasn’t a stark political inequality between anglos and tejanos in the Republic of Texas. More to the point, tejanos weren’t viewed as outsiders who didn’t belong. Both anglos and tejanos could be full citizens. But for tejanos, it was “kind of mixed bag,” says Raúl Ramos, a history professor at the University of Houston. Tejanos had citizenship rights, with a caveat. Over time, anglos restricted tejanos’ access to voting and land, outnumbered them in government positions, and targeted them with police violence.